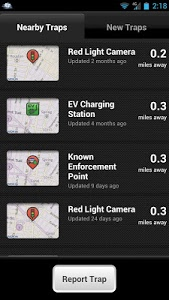 Trapster is your #1 driving companion. 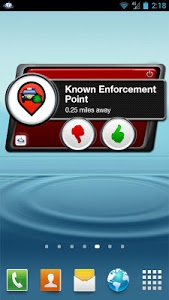 The worldwide community of over 20 million drivers works together to alert you of dangerous obstacles that pop up during your daily commute, road trips and other travels. 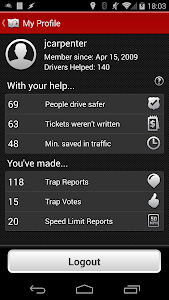 You can help your fellow drivers by running Trapster and reporting traps and hazards such as accidents, construction zones, traffic jams, live police, when you see them. 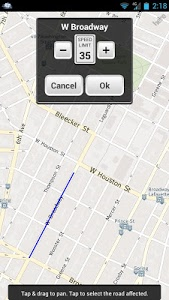 Trapster drivers in the area will be alerted to the issue and know to slow down or change course. When you get an alert you can vote on whether the trap still exists. The community will thank you for it. And with our verified real-time HERE traffic, you will know where the open road becomes more like a parking lot. 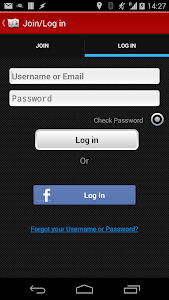 With Trapster at your side your drive becomes faster, safer and easier on your wallet. Save yourself the headache, join a community of drivers helping drivers, and drive easy. 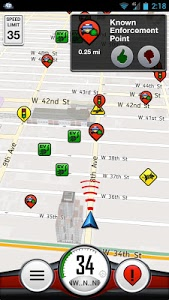 - Audio & Visual Alerting: Vital speed traps, road hazard and traffic alerts in English, French, German, Spanish, Brazilian Portuguese, Russian, Turkish and fun sound themes. 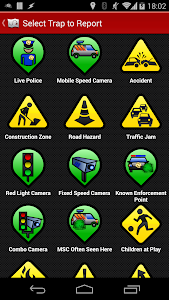 - Get vital road hazard and speed alerts in English, French, German, Spanish, Brazilian Portuguese, Arabic, Russian, Swedish, Turkish and many fun sound themes. 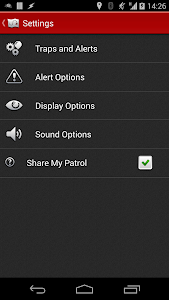 - Patrol™: Drive with confidence knowing that other Trapster users have patrolled the road ahead of you by the blue line that displays on your route. - Speed Limit Reporting: You can now confirm, update or report speed limits wherever you go. - Speed Limits & Speedometer: Real time speedometer paired with the speed limit of the road you are driving on ensures you travel at a safe speed. - HERE Live Traffic: HERE Real-time traffic flow, incident and congestion alerts delivered to your map so you’ll know where traffic is, how to avoid it, and when you’ll arrive. - Social: Go to the trap detail screen of a particular trap to share via email, message or social networks such as Facebook, Twitter, or Google+. - HERE 3D Maps and 3D buildings. - Automatic Day & Night Display – Map display optimizes for day and nighttime driving conditions. Your device’s brightness level adjusts to limit eye fatigue. Check out our sweet reviews from our users! *Trapster does not show or allow the reporting of red light cameras or speed cameras of any kind in France due to the laws in France. 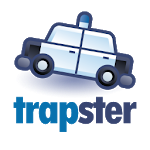 **Trapster does not condone the use of the application in countries where it is not legal to report or be alerted to speed traps and road hazards. - NEW statistics on how you have helped others save money, time and stay safe!